Multiple back-to-back tests of the Canyon Sender, Norco Aurum HSP, Pivot Phoenix, Specialized Demo 8, and UNNO Ever revealed their strengths and weaknesses, and then we raced them against the clock! The beloved downhill mountain bike. Though few of us own them, many of us lust after them, study their performance on the World Cup circuit and rejoice when their slack, high-performance technology trickles down to our trail bikes. After years of Vital MTB Test Sessions that involved bikes for the masses, it was time to put modern day 27.5-inch-wheeled DH weapons up against the clock and each other. From the relatively affordable $5,999 Canyon Sender to the uber-exclusive $10,650 UNNO Ever, and from the ultra-modern high-pivot Norco Aurum HSP to the tried-and-true Specialized Demo or race-proven DW-Linked Pivot Phoenix, today's downhill bikes vary as much as today's trail bikes in style, design, and performance. We corralled a sampling of five head-turning World Cup-caliber DH machines to be abused and scrutinized at Angel Fire Bike Park in New Mexico. 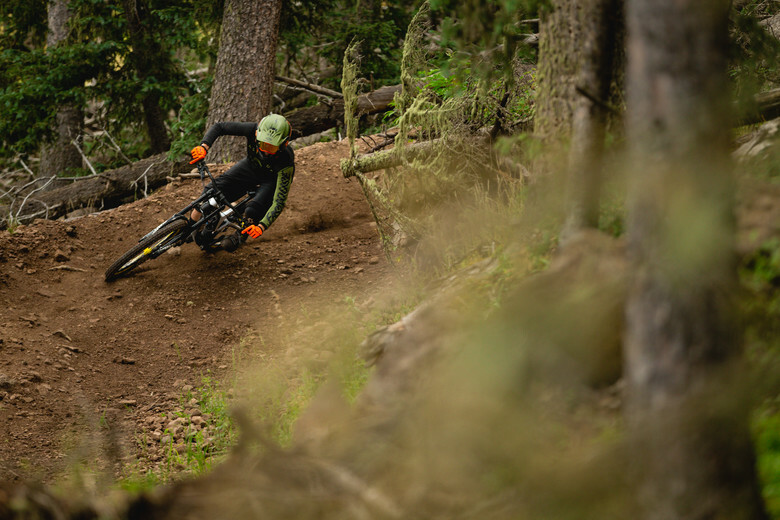 With terrain ranging from brutally rocky to face-meltingly fast with natural and machine-made trails aplenty, Angel Fire was the perfect place to race a three-segment test track that would show where our test bikes would shine or fail. Prior to the test, each bike was equipped with gold standard Maxxis Minion downhill tires front and rear to keep the playing field even. Using LITPro's high-definition GPS software, our riders compared hard data along with years of riding experience and feel to compile their final results. Welcome to Vital MTB Test Sessions for 27.5 downhill bikes. This was a big project, and we encourage you to dig deeper into the reviews and race results below. Each review features a video with a concise summary of our thoughts specific to that ride, more clips of the bike in action, plainly stated strengths and weaknesses, a detailed suspension analysis, and a summary of who we think each bike is best for. DIG IN! 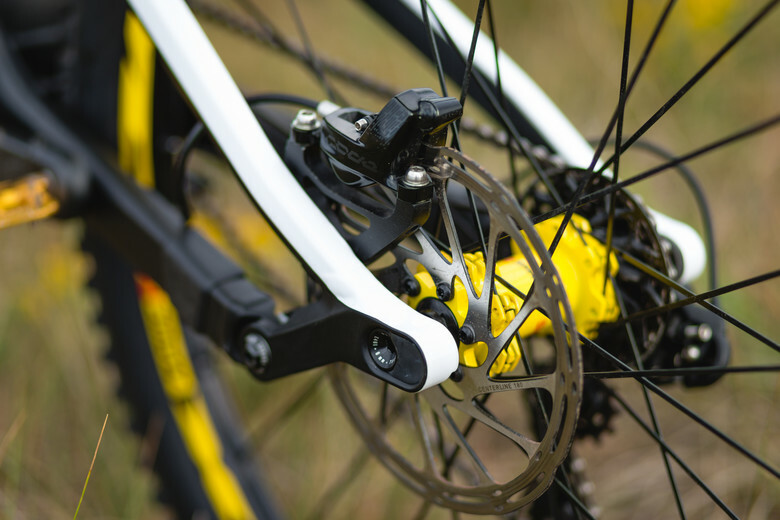 Using the bike industry's leading linkage analysis software, André Santos was able to determine a close approximation of each bike's kinematics for the purpose of this comparison. Though they don't always tell the full story, these charts provide great insight into several key factors that impact how the bikes ride. As expected, all of the DH bikes presented here have a progressive suspension design. The amount of progressivity varies significantly, however. The Norco Aurum HSP and UNNO Ever have very progressive designs, the Canyon Sender and Pivot Phoenix have moderate progressivity, and the Demo 8 has the least progressive linkage of the group. The majority of the bikes tested have quite high anti-squat values (near 150% on average), which is an interesting observation given that most modern trail and enduro bikes have anti-squat values near 100%. It is not clear why these DH bikes have so much anti-squat, but one hypothesis might be to counteract pedal bob during heavy pedaling and sprinting. The Specialized Demo 8 is an exception on this group, with very low anti-squat values, and therefore low pedaling efficiency. 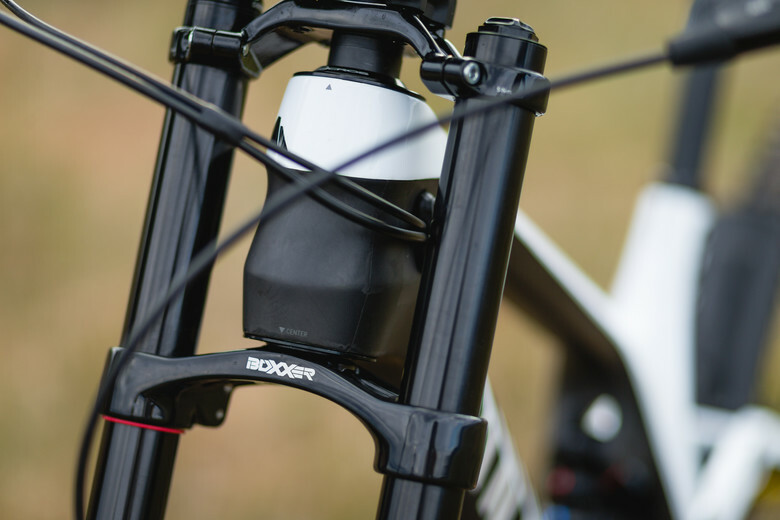 As an advantage, the Demo 8's suspension is not impacted by chain forces (giving a chainless feeling). Regarding braking, the amount of anti-rise also varies a lot with the Demo 8 offering the lowest anti-rise and the Aurum HSP with the highest anti-rise. While low anti-rise values might offer some advantages (the rear suspension is less affected by braking forces), high anti-rise values also have advantages (the rear suspension squats slightly when you squeeze the rear brake lever, reducing forward pitch of the bike under braking). On the chain growth championship, the Aurum HSP takes the medal with virtually no chain growth due to the high-pivot with idler design. While most bikes have a relatively vertical axle path, the Aurum HSP has a very rearward axle path. For race-ready bikes like these, there's nothing more telling than the clock. Following four days of riding and filming our testers were able to get intimately familiar with the trail and dial in each bike's suspension settings. Then, using the same state-of-the-art LITPro device and analysis software used by Supercross racers and World Cup downhill teams alike, we were able to accurately time the bikes during a mock race. Brian's fastest times were posted on the UNNO Ever through the segments filled with steep portions, turns, and sprints. The Norco Aurum HSP took the honors through the wide open and rough segment. Brandon's results showed a different story, with the Specialized Demo 8 taking top honors through the steeps and turns. The Canyon Sender showed lots of promise through the wide open and rough. Finally, the Pivot Phoenix ruled the sprint segment to the finish. By averaging the results, we're able to get a more clear overall picture. In this instance, the UNNO Ever was the fastest bike across both riders. 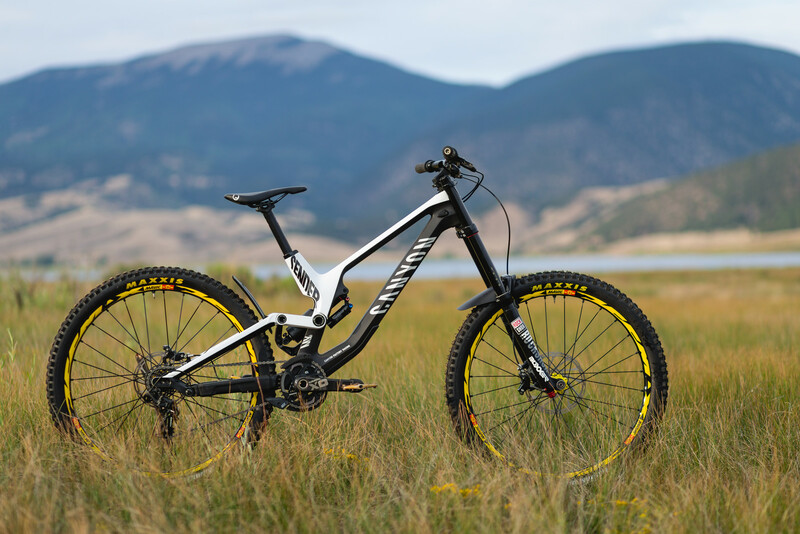 The Canyon Sender and Pivot Phoenix consistently placed 2nd and 3rd overall, respectively. With a wide variety of trail features and pitches under our tires, the areas where each bike excelled or struggled really came to light. Considering both the timed results and how things felt on the trail, we rated each of the bikes on various performance metrics relevant to the downhill category. We encourage you to dive into the individual bike reviews for much more detail. Which type of bike should we test next? Are there any models that really interest you? What test location would be best? Leave your suggestions in the comments. We look forward to your feedback. Test Sessions was made possible with the help of Angel Fire Bike Park, Maxxis, and LITPro. Tester gear provided by Troy Lee Designs, Fasthouse, and Five Ten. Can I just suggest you do 5 runs on each bike in the next test, but put them into a random.org sample generator and then race them in that order so that there is NO pattern. Racing them in any sort of sequence sets up the rider for failure. If you rode the Canyon and Demo then the Norco, you're setting yourself up for poor data. Sure, the suspension curves are different, but the mechanation of the FSR bikes is going to build up a muscle memory that is tough to correct when you go to a single pivot. Same can be said in reverse. Many more runs and each sequence has to be randomized. - 2 bikes only, head to head. Mano e mano. - many more runs per bike for more validity. The filming process allows us a lot of time to gain familiarity with the course at close to race pace. Each day we'd warm up with full laps, including a scouting lap on race day. Vital! Another rad review! Love the thoroughness to these. Pumped that you chose to throw on the same tires this time around. I have a good feeling of how much work it takes to do these, but it would be rad to see these more often! I know it's probably unlikely to have an intermediate / novice rider have similar consistency in results, but would love to know what their times / thoughts on each bike. Also, wouldn't mind to see the next review be some aggressive, 110-130 (trail?) travel 29ers. Loved It! Good to see at last Dh bikes being review! When a more in depth review of the new YT tues, and sc v10? Appreciate the suggestions! Both of those look like rad rides, and we had a blast on prior generations. Still beating that drum huh bud? Maybe I missed it, but it would be interesting to note the order that each of you raced the bikes in. I'd imagine that fatigue had to play a role at some point. Brian raced the bikes in the reverse order. This was done to give each bike the best chance at a fresh run. Appreciate the effort but I'll bet dollars to donuts if you do repeat runs on the same bike you'll see similar time variances. It is foolish to draw conclusions from single-run data. I hear you but I am not sure a fully agree. If you're a WC rider, you get what 8 runs to prove who is the fastest for the season? The sample size in the context of racing DH kind of makes sense. The video makes it seem like both rider had ample time and setup time on all the bikes so that they felt comfortable and then you need to lay down a race run. I think what's interesting is that certain bikes tended to work well for both riders in certain terrain but overall the fastest bike was the one that suited the riders style or maybe help compensate for the riders style weaknesses. I would agree with you if they just hopped on the bike and did a run but it appeared that both riders had ample time to get comfortable with the bikes. Ever time yourself on the same track? I've timed myself down the same track with the same bike in the same condition in back to back runs and can absolutely guarantee I will see at least 1 second variance for every minute on course. Would a WC rider be more consistent, most likely. But one run proves nothing. do the same but with 29ers... v10, supreme, trek, yt, gt. Cheers for the suggestion, Pedro! Those big wheels would be a treat at Angel Fire. 4 Months till Angel Fire opens again, I can't wait. Holy macaroni, what a bike test! Serious data for some serious bikes. Loving seeing an Unno on Vital too. This is the best bike test I've read in over a year, mostly because it is for DH bikes. More DH Bikes please. Also, a third testbrider would be good, especially when combining the segment times to get a clearer picture. Two people is just not quite enough to really solidify a trend in how a bike handles. I also offer myself as the third test rider. Would love to see how a rider that is on the upper end of intermediate to lower expert skill level has to say about the bikes too. Someone who is a good riding but not an absolute shredder. Would be relatable to myself and 90% of my riding circle. I think this would be me to a T, Angel Fire is my home park too. So basically hardly anything in it and all down to what bike suits your riding the best. Let's have some short travel trail bikes up... Transition scout, SC 5010 etc. He is not saying the test has no info. If I look at it the test states that the bikes score relatively similar on time and points. But that doesn’t mean there is no difference in how they ride. It comes down to what you like riding/your style is. The Norco is no jumper. And the Demo isn’t all about full speed ahead. Both good bikes but different.